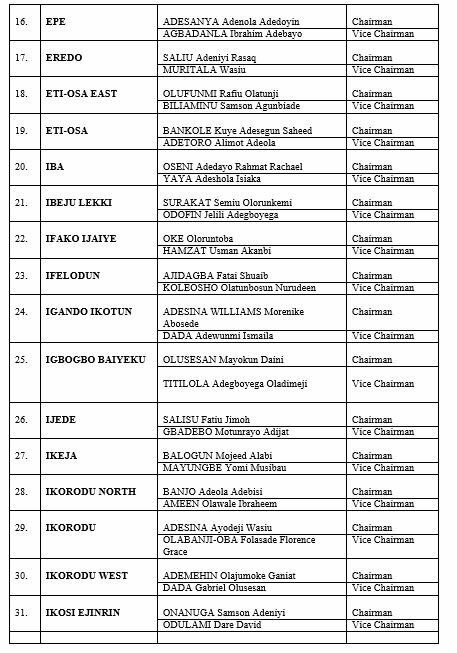 Do you know your local government chairman? 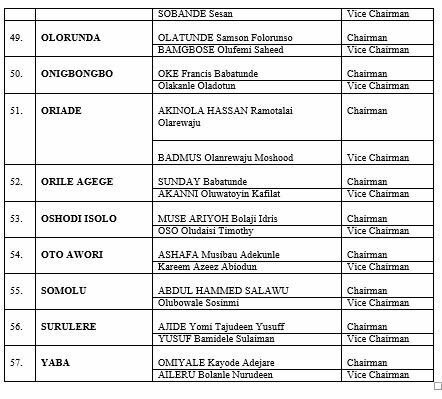 Do you know the newly elected chairmen and vice chairmen? 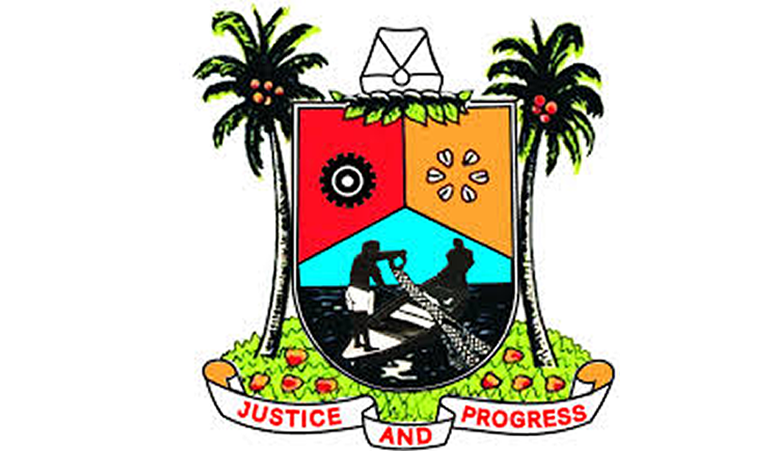 Now is your opportunity to know. 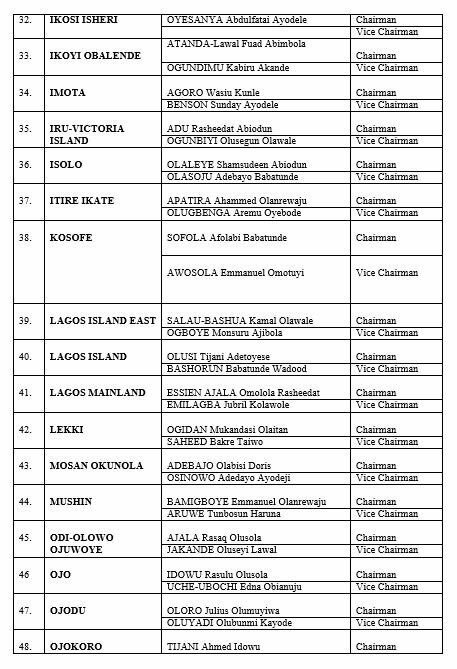 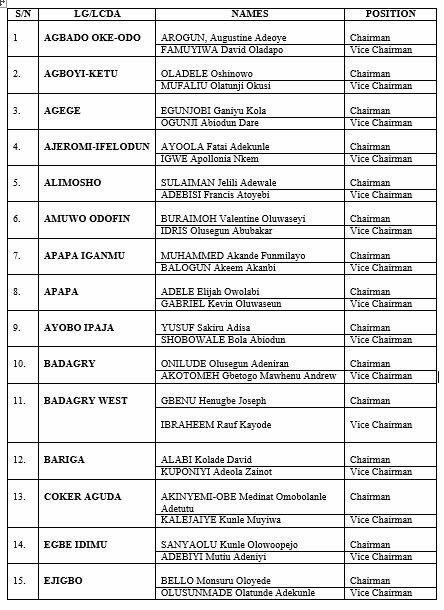 Below is the list of the newly elected officials in Lagos State.